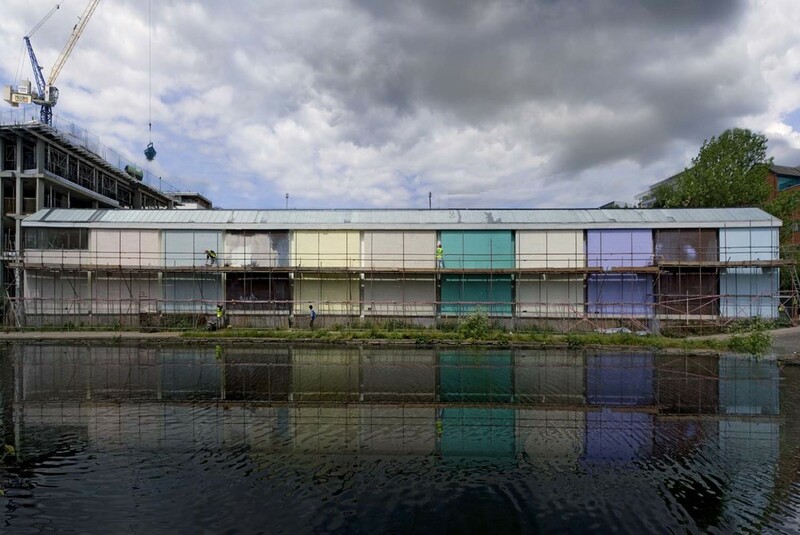 Yuko Shiraishi has been invited by Peer and Shoreditch Trust to make a semi-permanent public work for Regent’s Canal in Hackney. Shiraishi will bring her long-standing interest in the psychological, social and physical effects of colour to this multi-use urban environment. Working exclusively in her studio throughout the 1980s and 90s, Shiraishi made abstract paintings comprised of primarily two fields of colour that constituted an intense dialogue with light, tonal balance and harmony within the canvas frame. In the late 90s, she began to incorporate the frame within the architecture by embedding the paintings into the wall so that the picture plane was synonymous with their display surface. Her exhibitions increasingly became carefully conceived installations of space manipulated by colour, partition walls and bespoke seating. This way of working lead her out of the studio and towards a desire for a more sustained engagement with people and public space. In the past six years this has involved Shiraishi working with architects, clients and contractors in two hospitals: Jiundo Psychiatric Hospital in Tokyo, andMoorfields Eye Hospital Children’s Centre in London, at the BBC White City, London and the Insel Hombroich Museum in Germany. 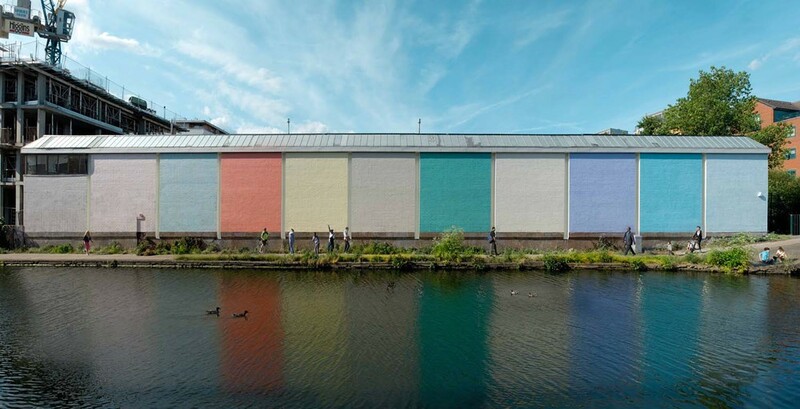 For Regent’s Canal, Shiraishi has devised a colour scheme for the 70 meter wall adjacent the Kingsland Basin and parallel to Orsman Road, where she has had a studio for over 20 years. Pedestrians, cyclists and canal-users will observe the changing nature of the work as it reacts to sunshine, evening light, rain and cloud, as well as the effect its reflection will have on the canal itself. In the Autumn of this year, a lighting scheme will be incorporated into this work to both illuminate it, and to provide a safer environment for users of the towpath at night. Unlike many artists currently working in the public realm where members of the public are invited to ‘complete’ a work through participation or engagement in some form, Shiraishi’s project for Regent’s Canal will be made for, rather than with, its audience. 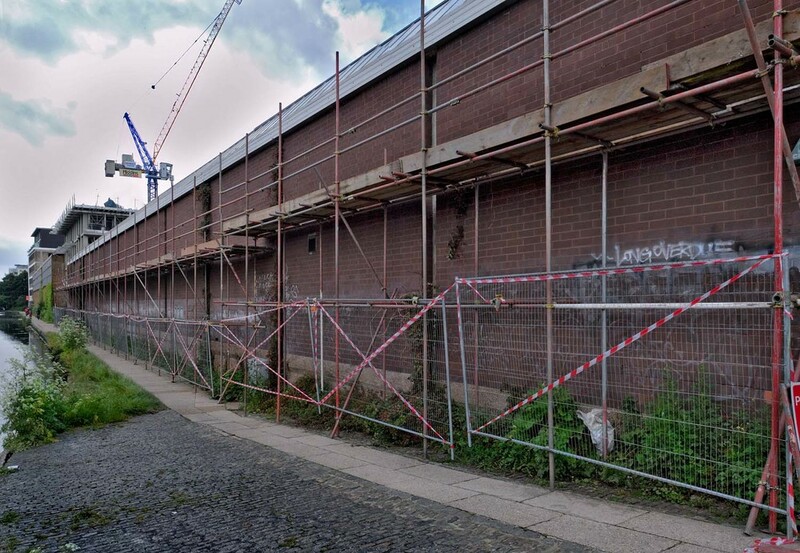 It will be a work of quiet significance affecting the canal-side environment in tangential ways; this is a regeneration project that reaches beyond the bombastic and towards the sublime. Shiraishi’s wide-ranging practice will be contextualised at Peer with an exhibition of her drawings, models and maquettes from architectural and public projects completed over the past eight years.